Last month we discussed all of the visible signs of aging: fine lines, wrinkles, dark spots, and loss of muscle tone and elasticity. You know the main factors that add years to appearance. Fortunately, with the right antiaging strategies and smart lifestyle changes, clients can look younger. But, in order to put their best face forward, you need to help them come up with a plan. After all, beautiful skin does not happen by chance. First, what’s the client’s decade? This will determine what approach you need to take. The earlier they start the better. In the 20s, it is all about prevention and protection. A chemical-free sunscreen and an antioxidant serum that protects against harmful environmental factors should be used daily. In the 30s, it is time to get serious about incorporating antiaging products that target any signs of premature aging clients may be experiencing. He or she will need a moisturizer, like retinol, that does more than just hydrate. 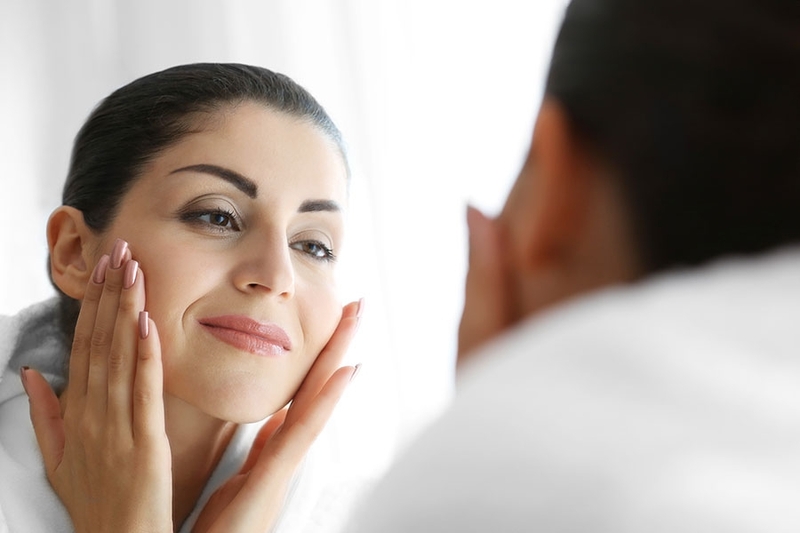 Retinol stimulates the production of new skin cells. It also helps fade some of those dark spots produced by the sun or any hormonal changes experienced. It is also time to up exfoliation, whether it is chemical or mechanical. In the 40s, it is all about making sure the client has a strong barrier function. A properly functioning and healthy skin barrier protects against transepidermal water loss (TEWL) or dehydration. 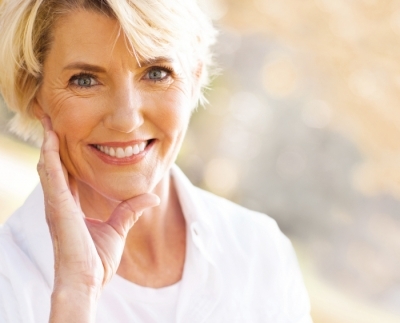 Levels of hyaluronic acid decrease as we age. We start noticing that water loss leads to volume loss, creating a collapsed look in the face. To help plump and rehydrate, it is important to use a serum containing hyaluronic acid in the morning and evening. 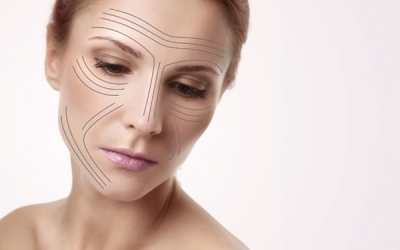 The more mature skin becomes, the more factors come into play. In the 50s and beyond, clients may notice a significant change in brightness and texture may become more rough. And, unlike in the past, there is not one product that solves everything. Clients need to look for products that will help the skin protect itself, maintain hydration, and stimulate collagen production. No matter what decade a client is in, the second step is making time for a monthly facial. Facials can aid with detoxification, hydration, and increasing circulation. Lastly, no matter how good a client’s skin care routine is, diet and lifestyle have a huge impact. Food is essential to overall health. Clients should eat food they like, but food that will also nourish the body and give them energy and stamina. Fruits, vegetables, whole grains, nuts, and lean protein are all jam-packed with vitamins and minerals that will impact the condition of skin. For example, avocados, my personal favorite, are filled with mono-unsaturated fat, which helps skin stay hydrated, while helping absorb the vitamins that skin needs. Also, encourage clients to move more! According to recent studies, there is a direct link between looking young and exercise. I know after I swim some laps for an hour my cheeks are pink and flushed – I do not even need makeup. Not only do I have that healthy glow, but my mood is better and my muscles are toned. Doctors say working out impacts you on a cellular level. It also maintains a regular level of cortisol, the stress-related hormone. We all know the pitfalls of stress. Once I stopped sweating the small stuff, my appearance reaped all of the benefits. It even helped me sleep better at night. A good night’s sleep is also crucial in skin function and repair. Clients may be tired of the debate on how many hours of sleep they need to maintain optimal health, but if they neglect getting regular sleep, they can bet they will wake with dull, dry, swollen eyes and dark circles. The skin is the body’s largest organ, weighing up to eight pounds and approximately 22 square feet. Help clients love and cherish it. 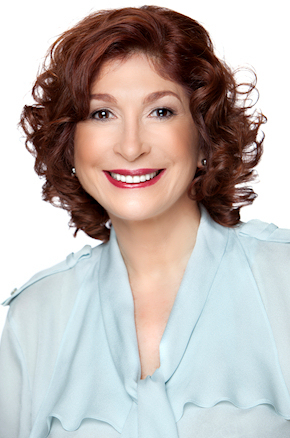 Annette Hanson is the founder of Atelier Esthétique Institute of Esthetics in Manhattan, a New York state licensing, NACCAS accredited skin care school, postgraduate facility, and the first United States aesthetics college to be recognized by London’s International Therapy Examination Council (ITEC).Her professional experience spans more than 30 years as a Paris trained aesthetician, waxing specialist, body therapist, salon manager, and spa consultant. A creator of two product lines, she is also a published author and sought-after lecturer at leading professional conferences worldwide. Hanson was instrumental in the development of the 600-hour curriculum for the New York state aesthetics license, as well as the written and practical exam. She served as educator on the Appearance Enhancement Advisory Committee to New York’s Secretary of State. She was inducted into the Aesthetics International Association (A.I.A.) industry legends in August 2009 by DERMASCOPE Magazine. She is on the leadership committee of the ASCP Skin Care School Council.